I took a day off from work last week. 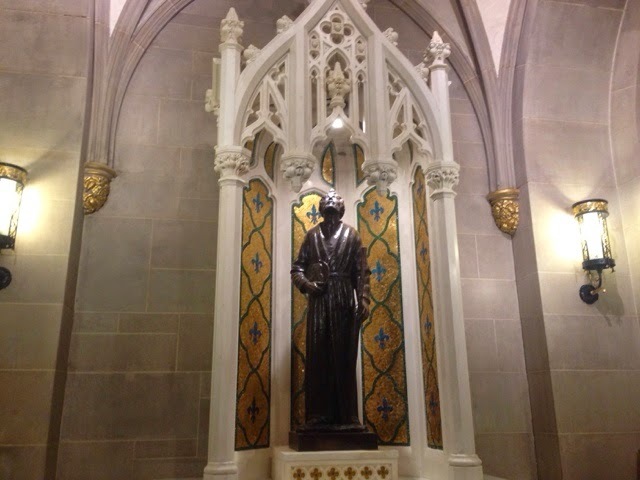 After running a few errands, I managed to finish early and decided to pop in St. Patrick's Catherdral for some much needed meditation and prayer time. 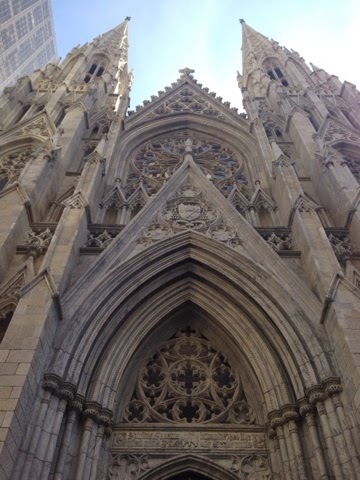 This cathedral is a marvel, and everyone knows it. Unfortunately, every single time I've visited a different part is under renovation. I do hope that one day I will have the chance to see this landmark in all it's renovated glory. 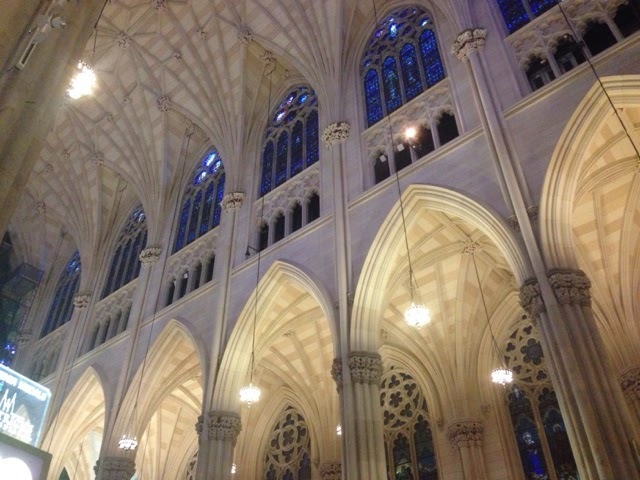 The gothic architecture in St. Patrick's always reminds me of one of my classes in university, MARKET1, where our professor held a one-off special lecture about art in advertising. We studied all kinds of art movements and how they were reflected in modern advertising. We even had quizzes and had to bring examples of which advertisments we thought was influenced by which movement (it was a nerve-wrecking exercise!). 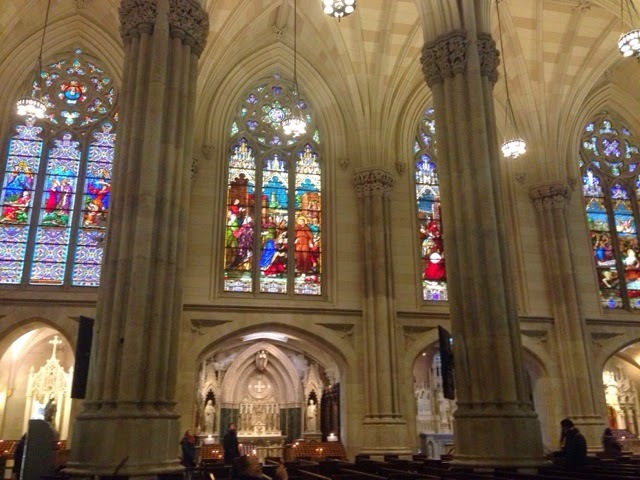 I bring this up because I think about it a lot when I look around, not only St. Patrick's Catherdral, but in New York city in general. It is a melting pot of art influences and artists. I love being smack-dab in the middle of it all! 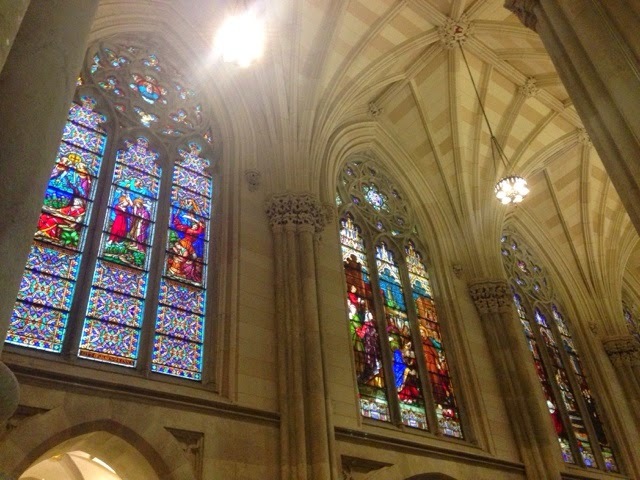 Another thing I about churches (which are often gothic in design) are the stained glass windows. Take a look at these beauties! I often stare at them during mass and just wonder about the process of making them. Who conceptualizes them and just how is glass stained and molded to fit the panels? I'd love to take a class on the principles! But my main purpose for the visit was prayer and it's exactly what I did. I find that even if I don't consider myself a devout or religious person, being in chirch or going to mass is a meditative, reflective experience. It gives me time to think and yet not be stressed about my thoughts. I've gone to chapels and churches for ten minutes of prayer since I was in college. It really helps me think and feel comforted. Perhaps someone, God, is really listening and taken the burden away from me. St. Jude is the patron said of desperate causes. I cannot tell you how much I believe praying to him has helped me over the years. Anything from a lost bracelet to a midterm exam, defending my thesis to finding a job for me and my family--I have always prayed to him. 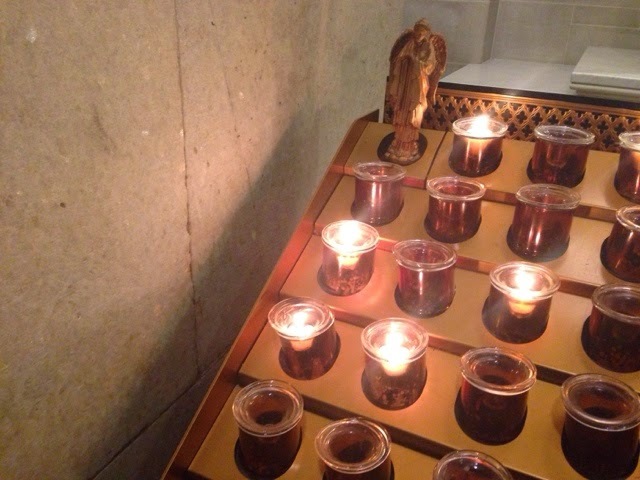 It felt good to offer a prayer here through him.